Here’s my “Freaky Friday Fashion” pic for the week, crappy accessories. 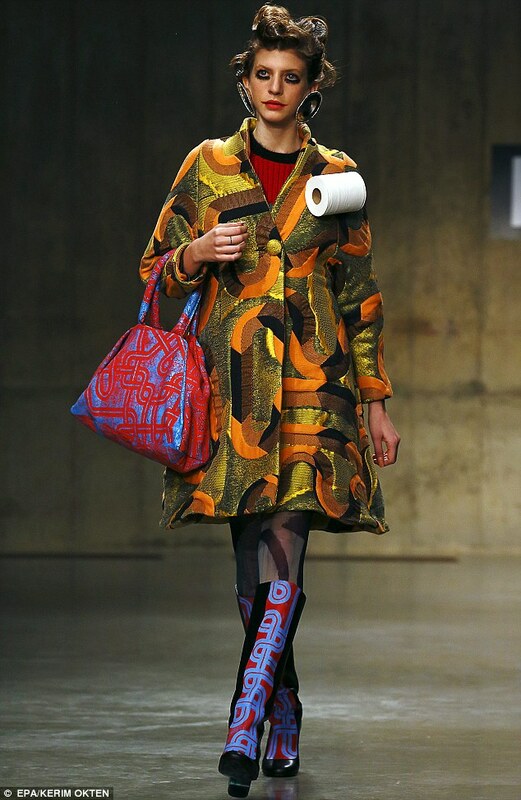 During London Fashion Week, designer Louise Gray decided to accessorize her collection with rolls of toilet paper. I’m not sure why she thought this was necessary? Her designs look amazing with all of the rich and lush fabrics, so adding toilet paper elements completely cheapened the look. They say the best ideas come to you when you’re on the toilet or in the shower, so maybe she was inspired after sitting on the pot for a while? Who knows? Sorrry Louise, this idea should be flushed! That’s awesome. 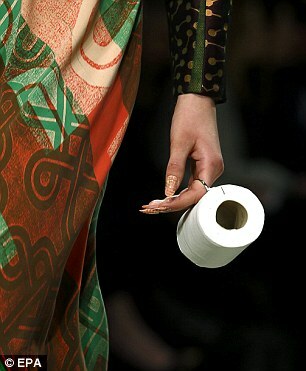 I think the first day it gets warm outside, I’ll try this….maybe I’ll use toilet paper earrings.